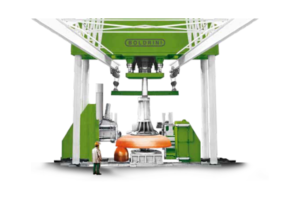 The Boldrini company history started in 1905 when Francesco Boldrini, in the city of Ferrara, began the manufacture of piping and boilers for the sugar mill industry and for hydropower plants. 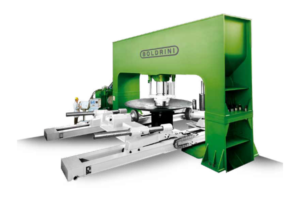 By the beginning of the 1930’s, Francesco’s son, Prosperino Boldrini, had taken over the business and decided to start making section bending and plate rolling machinery. 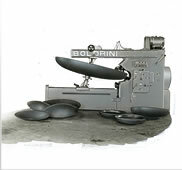 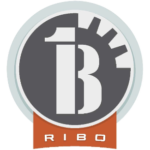 Boldrini was the first company in Italy entering into this industry. 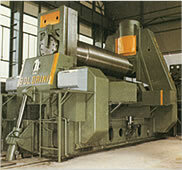 In 1933 the first of many machines for profile bending was produced. 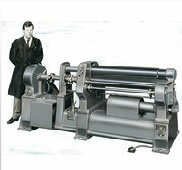 In 1939 the first of many plate rolling machines was produced. 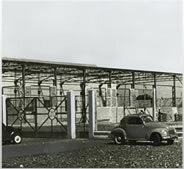 In 1947, after the war, the company was moved from Ferrara to Cremona. 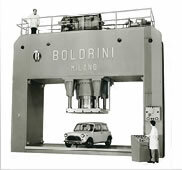 In 1953 a second facility was opened in Milan. 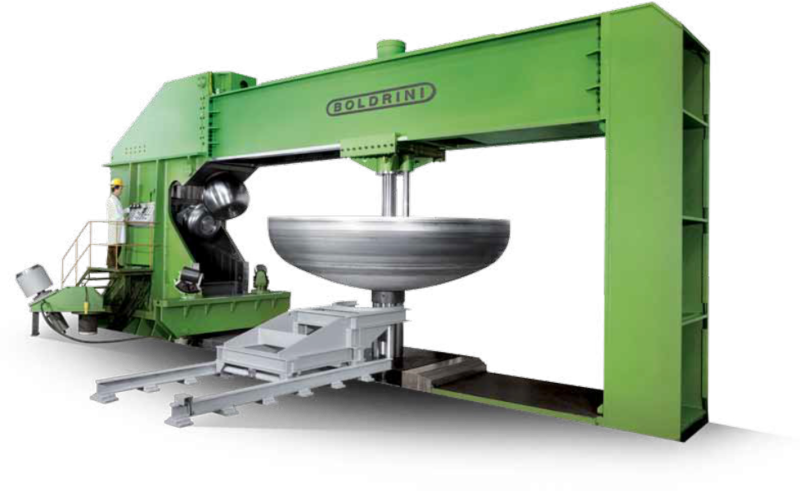 In 1959, year of the Boldrini patent n° 830-647 for the modern design of flanging machines. 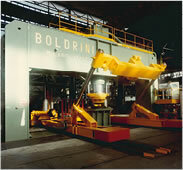 In 1969 Boldrini manufactured, for an American customer, the largest capacity three roll plate bending machine in the US. 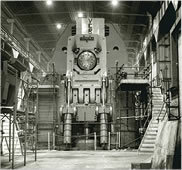 This machine was dedicated to rolling the heaviest of plates up to 18.5 inches hot for the nuclear industry. 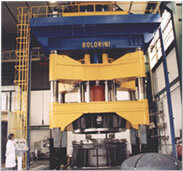 From the end of the 1970’s, Boldrini became synonymous for top quality heavy and super-heavy duty special metalforming equipment. 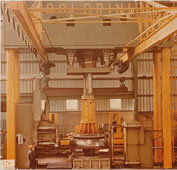 In 1975 a super-heavy duty plate bending roll was delivered to the company COCKERILL. 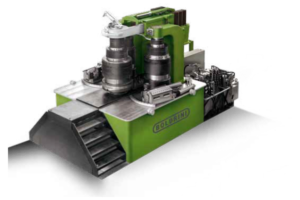 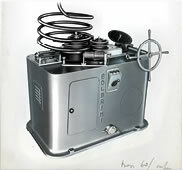 This variable geometry machine included many technological improvements which are still used by the best manufacturers today. 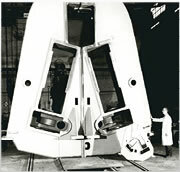 Another milestone was achieved in 1975, with the ROTEX a sophisticated machine now installed in AREVA France, which has spun heads made from a single plate up to 44 Ton in weight and 190mm initial thickness (the largest hemisphere ever made in the world). 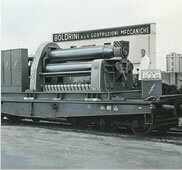 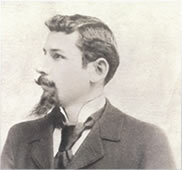 In 1985, Boldrini enlarged it’s range of production, by acquiring VERRINA S.p.A., a company established in 1870 in Genova, manufacturing the world’s largest plate rolls and plate straightening machines. 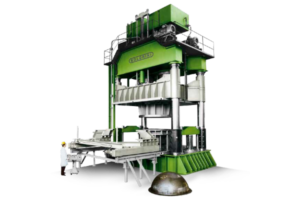 In 1998 the world’s largest dishing press, 10100mm span, 1000 Ton of force, with a 27 Ton manipulator CNC controlled, was delivered to Holland. 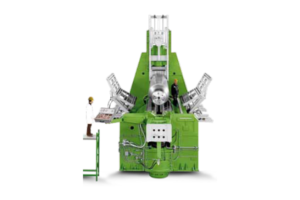 In 1998 the double action hot forming Deep Drawing Press POC2500 was built to manufacture single heads up to 4500mm in diameter. 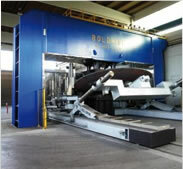 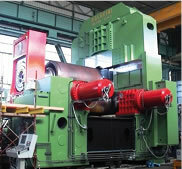 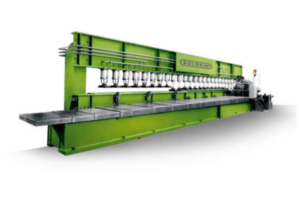 New 21st Century Record 2006: the world’s largest flanging machine for cold forming of heads up to 80mm in thickness. 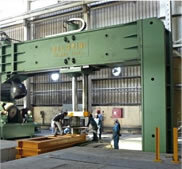 New 21st Century Record 2008: 6500 Ton Plate Bending Roll with a total weight in excess of 850 Ton was delivered to China. 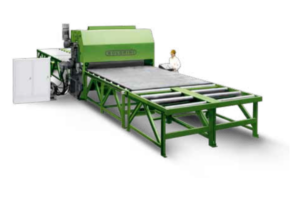 This machine is capable of hot rolling plates up to 40mm in thickness. 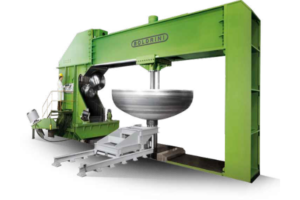 New 21st Century Record 2009: the world’s fastest heavy dishing unit Dual Use 1200 Ton for cold and hot pressing of heads up to 8600mm in diameter.